The Captain-General of the Legio Custodes arrives from Forge World with this weekend’s pre-orders. 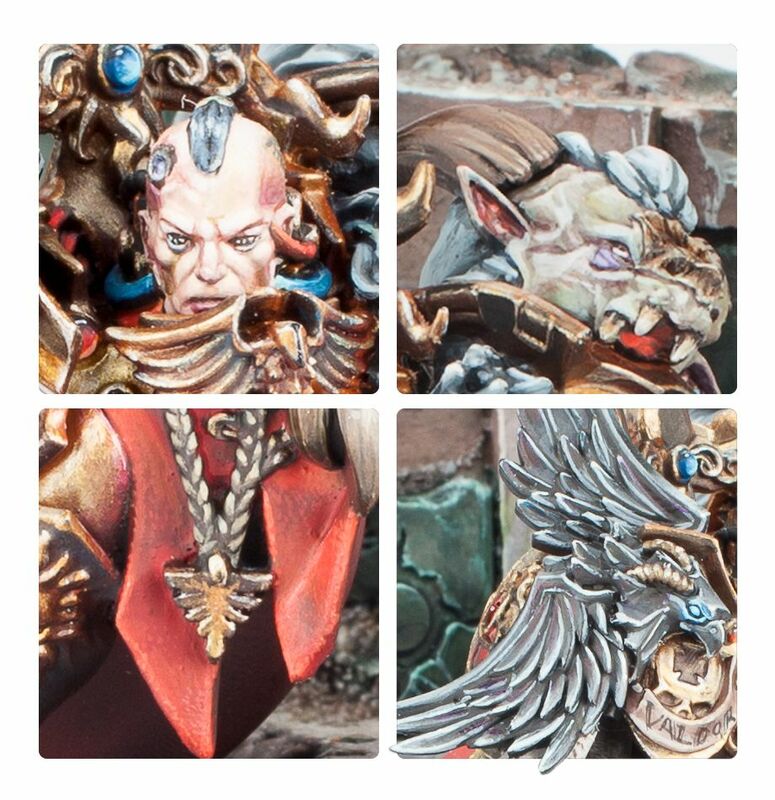 The Emperor’s right hand in here in all his resin glory! 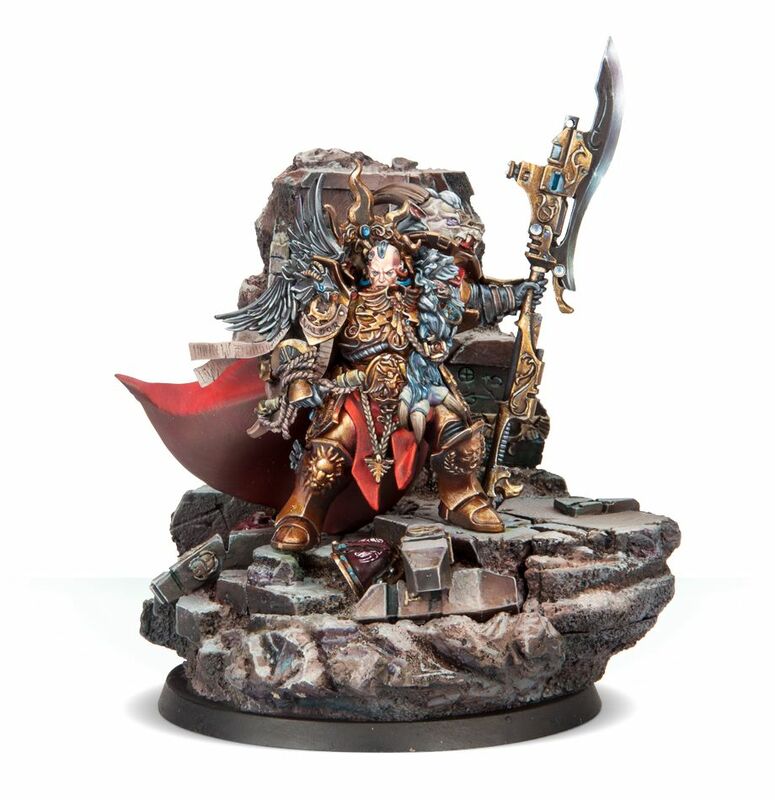 Constantin Valdor sits at the right hand of the Emperor as perhaps His most trusted companion and guardian, a watchman of inviolable purpose and all but unmatched fighting skill. Such in fact is Valdor’s martial power and superhuman physical and mental abilities that there are those, even within the Imperial Court, who have in whispers called him ‘Primarch’ in all but name. This is no doubt a disingenuous claim, as for all his power Valdor was made and trained to serve a different and far more focused purpose, that of Lord Commander of the Custodian Guard, and to Valdor the petty concerns of conquest and glory, dominion and victory are as nothing when compared to his own sworn duty. 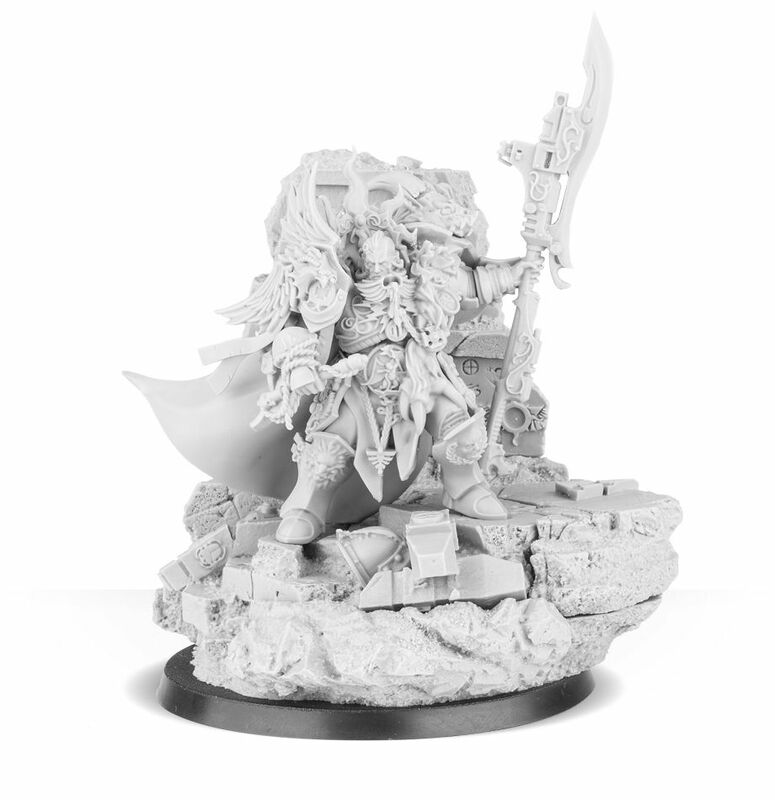 This multi-part resin kit contains the components necessary to assemble Constantin Valdor. 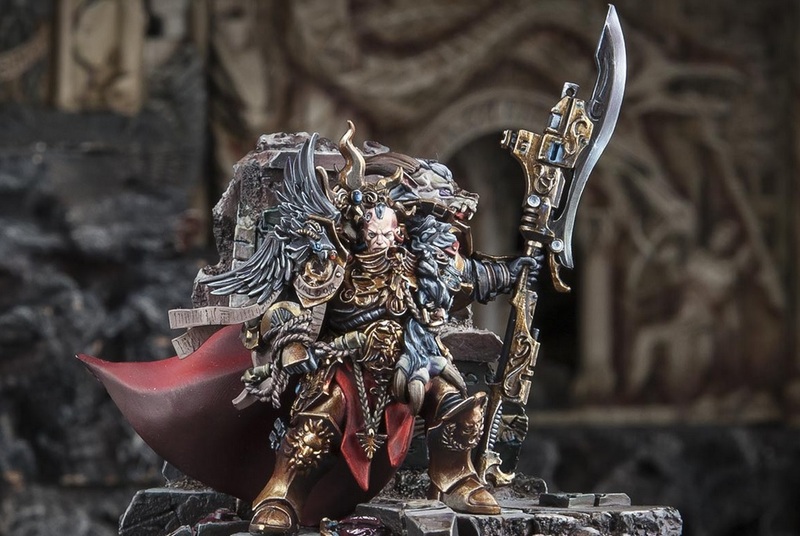 This is an exceptionally detailed model, which painters will delight in tackling – there’s barely any flat surface at all on his ornate power armour, with skulls, eagles and lightning bolts modelled finely on every panel. Chains, furs and strips of cloth feature heavily, with even the greaves featuring sculpted buckles and faces. Over the left shoulder is mounted the head of some great horned creature, while a heavily augmented bird sits on the left. Constantin’s head is bare, with cabling running from his jaw and temples, connecting him to his power armour. He wields the Apollonian spear, which incorporates a bolter and a power blade capable of reducing anything it touches to its component molecules. The model’s base is made up of 3 components – a 40mm round base featuring rocks, ruins and remains upon which Constantin is posed, a 60mm scenic round base providing a backdrop, and a further outcrop which is used to lock the model into the latter. Constantin Valdor, Captain-General of the Legio Custodes comes as 17 components. Rules can be found in The Horus Heresy Book Seven: Inferno. 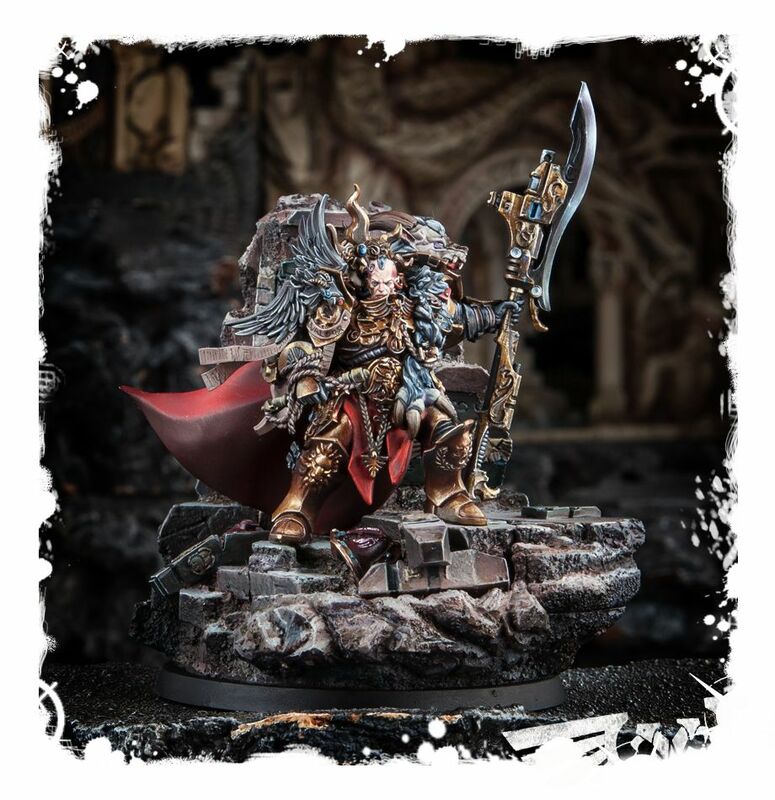 That’s all that is new from Forge World this week – What do you think of the Captain-General of the Legio Custodes?